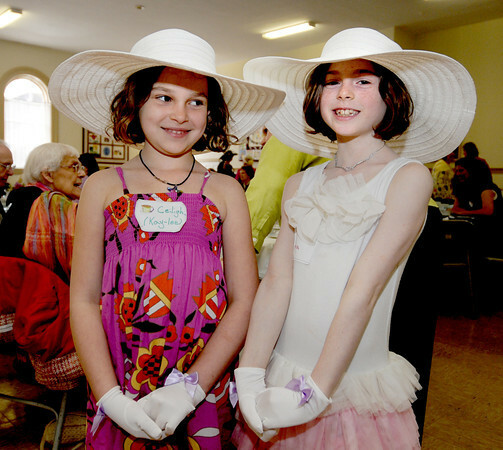 Newburyport, Ceiligh Caciho_Negrete and Nina Sesto great guests at A tea at the Central Congregational Church in Newburyport Sunday celebrating the release of a book "Spring Tea: A Celebration of Grace and Courtesy. by Alison Ney of Amesbury, Linda Seeley of Ipswich and Cameron Sesto of Newbury. The event included tea served by children from the church and community.